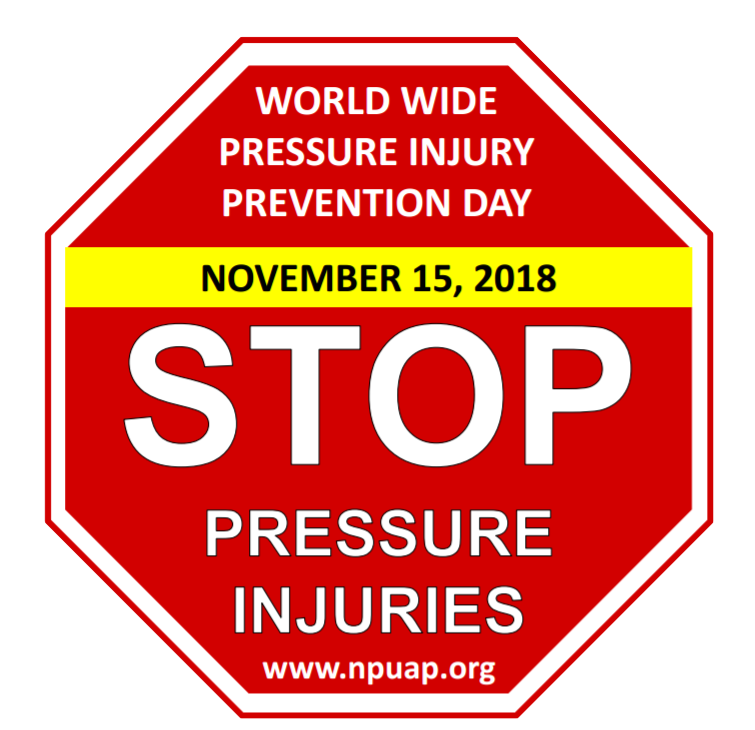 November 15th 2018 is World Wide Pressure Injury Prevention Day. This special day focuses on raising the awareness of the problem of pressure injuries, also referred to as pressure ulcers, worldwide. When blood flow is blocked to our skin and underlying tissue, the skin is damaged and a pressure ulcer develops. This interruption of blood flow can occur as a result of sitting or lying down for a period of time, thus applying excessive pressure to skin without relief. Other factors that may contribute the cause of a pressure ulcer are shear pressure, friction over the skin, moisture and poor nutrition. Pressure injuries are more likely to occur in the elderly and the immobile. Some early indications that a pressure ulcer may be beginning to develop include the discoloration of skin as well as local pain and discomfort. The NPUAP advise that caregivers should periodically turn and reposition immobile patients to prevent the development of pressure injuries facilitating the reduction of pressure exerted on the skin can aid in reducing the risk of pressure damage. This report mentions several studies demonstrating that taking action towards preventing pressure injury is desirable from an economical and humanitarian perspective, such as Bayoumi et al (2008), Schuurman, JP et al (2009), Demarré et al (2015). On World Wide Pressure Injury Prevention Day this coming November 15th, please join us and help educate the public and increase pressure injury awareness by highlighting the risk factors contributing to pressure ulcers and discussing how they can be prevented. For more information, download the Arjo Clinical Evidence Summary on Pressure Injury Prevention Solutions. 1 National Institute for Health and Care Excellence (NICE). Clinical Guideline CG179. Pressure ulcers: prevention and management. 4 Prevention and Treatment of Pressure Ulcers: Clinical Practice Guideline. Emily Haesler (Ed.). Cambridge Media: Osborne Park, Western Australia; 20141. All information is provided in good faith – without warranty of any kind, express or implied – and any use of information or material contained herein is at the users’ sole risk. This blog is for information purposes only and shall not be construed as the giving of advice or making of any recommendation and the information should not be relied upon as the basis for any decision or action. The views and opinions of authors expressed herein do not necessarily state or reflect those of Arjo. At Arjo, we are committed to improving the everyday lives of people affected by reduced mobility and age-related health challenges. 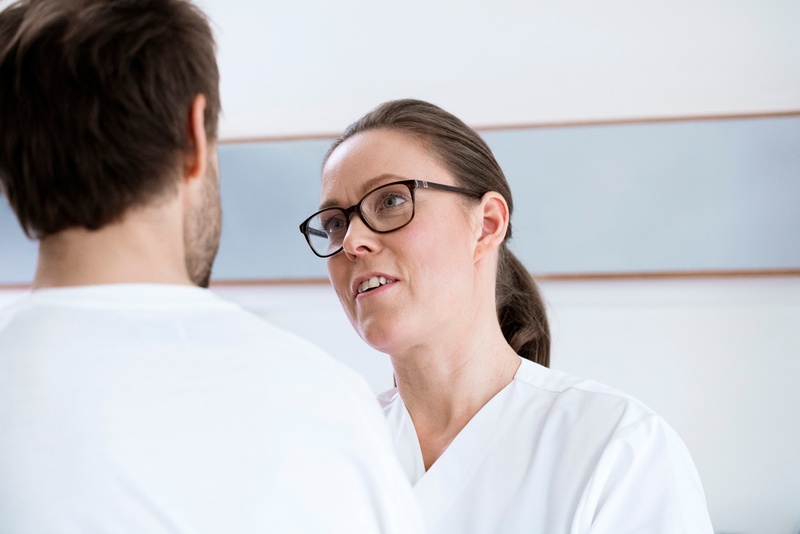 With products and solutions that ensure ergonomic patient handling, personal hygiene, disinfection, diagnostics, and the effective prevention of pressure ulcers and venous thromboembolism, we help professionals across care environments to continually raise the standard of safe and dignified care. Everything we do, we do with people in mind.